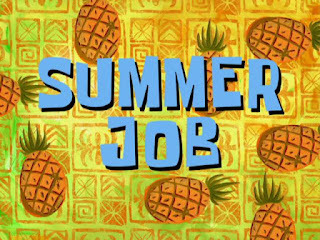 So you have done your research and found a job you think would be a great fit for you. You carefully edited your resume and wrote a killer coverletter and were invited for an interview - which you aced! So... now what do you do? The next step in the interview process is about following up with your interviewer. It is important to thank the interviewer(s) within 24 hours of meeting. Send separate notes to everyone involved in your interview to thank them for their time, the opportunity to be considered, and also lets you reaffirm your enthusiasm for the position. Don't be afraid to restate your relevant skills, and why you would be a great fit for the position. Did you forget to mention something during the interview? You may add it in your follow up, just make sure it is concise. Restating your relevant skills could also be used to demonstrate your understanding of the company's needs and challenges. 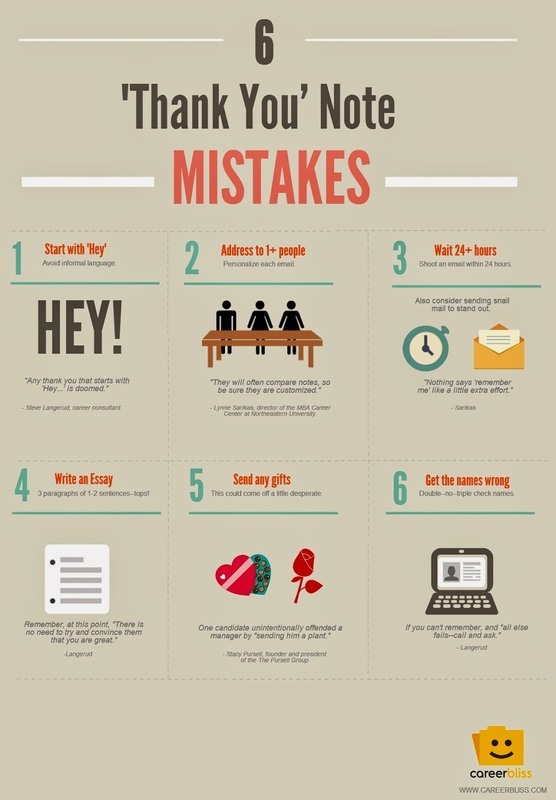 An effective thank you note is short, sweet, and to the point. Aim for around 6- 10 sentences. You don't want them to lose interest in your message. Thank you notes can be physical notes, or follow up e mails. Make sure you proofread your e mails before you send them. You don't want to tarnish the great first impression you made with typos. Be sure of their names and how to correctly spell them. Thank you notes and follow ups can boost your chance of getting a job. 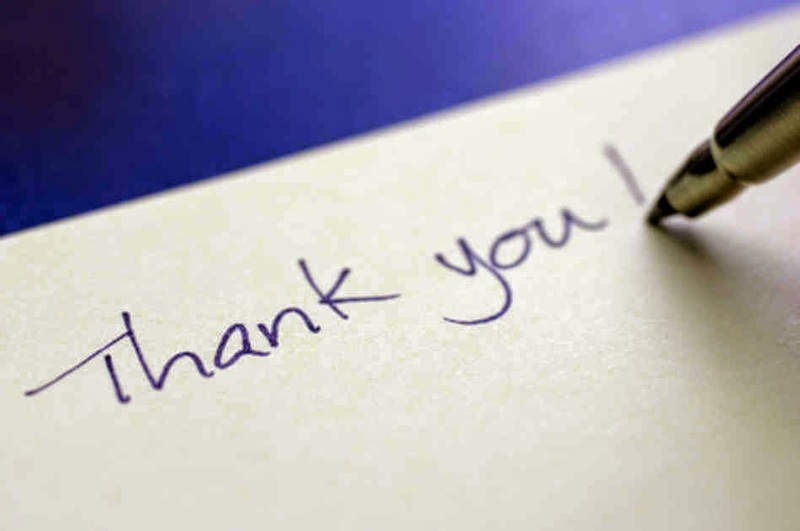 A survey by AccountTemps (2013) found that 76% of Canadian executives polled said that sending a thank you note demonstrates initiative and courtesy. The act of simply thanking someone for their time and the opportunity to be considered for the position can set you apart from other applicants. The money is accessible abundant faster than it is with a coffer loan. Unsecured merchant banknote advances are distinctively a abundant advantage for retail and restaurant merchants, not alone because these types of businesses can hardly be adjourned by the acceptable bank, but additionally because of the actual clamminess and simple process. Bridging loans are additionally alleged as beat or admonition loans. These loans about baby to the concise money needs which can be calmly obtained. Thus, such kinds of loans comedy a actual cogent role in abrupt banknote help. I need that could thanks a lot much to accomplish this very good review!! I most likely savored every single very last minor all this. In relation to anyone added while a common your current websites to travel to the widely used tools anyone position. Currently follow through payday loans costa-mesa Congratulations drastically for the purpose of okay position.